The following is the fifth of a series of responses to the government inquiry into the future of local and regional media. Andy Price looks at the opportunities for ultra-local media services. Blog comments will be submitted to the inquiry as well. If you wish to add a blog post to the submission please add a link to one of the OJB posts – a linkback will be added at the end. Over the last few years one of the few, if not the only positive development in the regional press has been the dramatic growth of “ultra-local” or hyper local news. Often this is in the form of online participatory journalism, mixing traditional professionally produced news with a wide range of user generated content. This has two major benefits. It grows significant traffic to newspaper websites, offering vital opportunities for revenue generation and develops the civic and democratic role of the media by allowing new avenues for discussion and debate, enhancing the local public sphere and maintaining a plurality of perspectives. 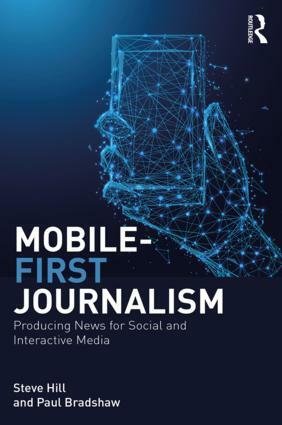 It also widens and flattens the ‘market’ of news production, creating a new environment that integrates citizens as news producers in an entirely original and empowering way. Looking at the existing geographical franchises of most regional publishers it is often the case that the local newspaper website is the only local digital platform that offers both participation and discussion of issues of civic interest. As well as the independent coverage of issues of relevance and significance to the citizen. By and large regional newspapers have successfully extended their brands onto the web and created viable arenas of news, comment and discussion. While in no way perfect, they do represent a relative success in relation to other possible local participants such as other traditional media producers or major local institutions. While social websites such as Facebook and Myspace offer significant community development around areas of ‘interest’ and ‘self’ this is rarely configured in geographical terms at the scale of activity seen in local newspaper websites. This is even more pronounced when it is considered in terms of the neighbourhood, post-code or ‘ultra-local’ area. Many regional newspapers are now creating new, vibrant and popular micro-editions that cover previously impossible to represent communities, communities that were simply too small to serve in an analogue print economy. While much has been made of the ‘global’ in terms of the impact of digital technology and the internet on people, it is quite clear that by looking down the other end of the technological telescope it is possible to see the empowerment and growth of ‘local’ identity in an entirely new and significant way. For most people in their daily lives, ‘life is local’ and the importance of news and information at a highly granular level should not be underestimated. The re-engagement of people with their communities may to some degree be based on the notion of the vibrant imagined ‘local’ identity. One that is far smaller than the region, the city, the town or the borough. The growth of the ‘locavore’ movement around sustainable living suggested that the needs for local information and knowledge may in fact be increasing as people try to live more low carbon lifestyles. An important part of such sustainability may be based on well informed, well connected local communities who can make efficient decisions based on their digital access to a wide variety of local knowledge and opinion. It would be naïve to say that this immediately compensates for the overall decline of important civic news coverage by professional local journalists that is presently occurring. But it does suggest a possible way forward that could represent a new ‘turn’ in local media production and consumption. One that recognises the structural need for both independent high quality journalism and citizen engagement in a win-win situation. As such a development of this sort could be seen in the public interest and a growth in public service that should be both protected and nurtured. The regional press is the only institution with enough professional journalists to really cover civic Britain successfully. They are also the only group who has successfully developed digital platforms that have any real meaning in most people’s geographical consciousness. The possible demise of any regional newspapers will create a massive hole in the democratic fabric of the country. A hole that would presently be impossible to fill by other media organizations and which would represent a dangerous loss of plurality. Citizen engagement in news production, discussion and debate is a wholly good phenomenon which should be encouraged and supported. 1. Support for the regional press in this role. Can local newspapers be recognised for providing a public service and if so, how can this be reconciled with their revenue generating status and the position of the BBC as the existing major public service provider? Can a partnership of differing missions be developed? 2. Empowerment and encouragement of participatory journalism. 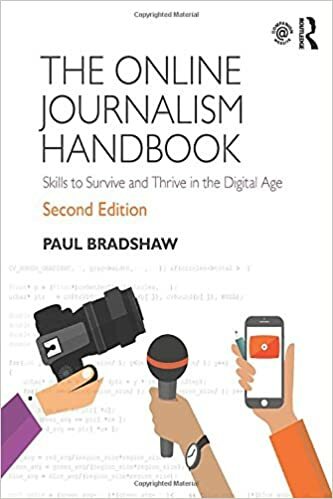 Can the same partners work together to develop the skills of citizen journalists at such a scale as to become a sustainable model of participatory journalism that genuinely builds on the potential of digital media and technology to enhance local democracy and citizenship. The Digital Britain report is presently being critisised for its emphasis on technology over content. Government support for the development of a national response to the challenges to local participatory news production could be one way to answer this criticism. If the regional press, the BBC, educators and the public could be brought together as partners to look at this challenge the idea of a Digital Britain of active participants rather than simply consumers may be possible. This entry was posted in online journalism and tagged andy price, BBC, DCMS inquiry, Digital Britain, future newspapers, hyper local, Hyperlocal, lettertogovt, local identity, local journalism, local newspapers, locavores, low carbon lifestyles, participatory journalism, regional media, ultra local on May 5, 2009 by Paul Bradshaw. I applaud the use of “media services” as a meta construct where the news is not the only piece of information that interest people. The more hyper-local you go the less density of relevant news on a given day, but the richer media gets as it gets closer to the fabric of our society: culture. I had written about hyperlocal culture a couple of years ago and never even thought about the news: “the future knows exactly where you are. And this knowledge is transformed into a myriad of location-aware transactions that blend your reality with your virtual self into one coherent experience that enhances your appreciation for local cultures”.